A screening of Been Rich All My Life presented by Sembène–The Film & Art Festival. 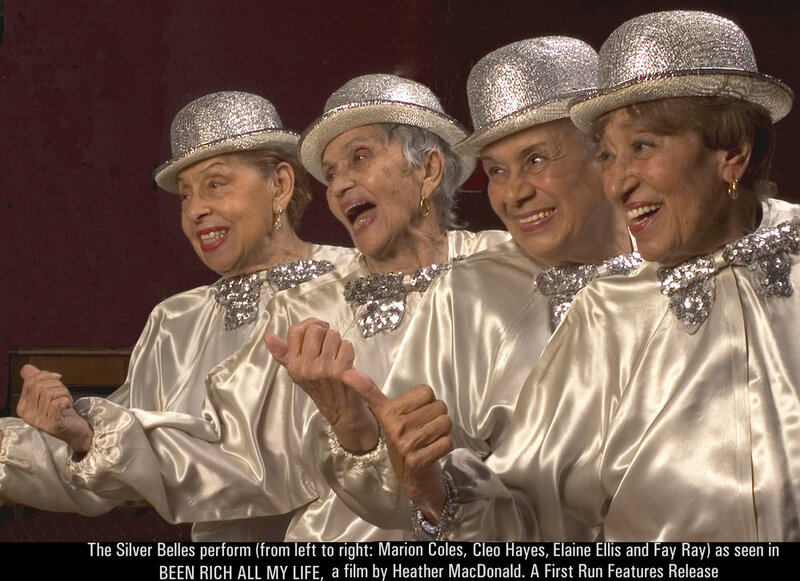 The Silver Belles are a group of classy, sassy hoofers who met in the 1930s as chorus dancers at the famed Apollo Theater and Cotton Club. There, they learned their trade and performed with legendary bandleaders and performers including Cab Calloway, Duke Ellington and Ella Fitzgerald. They also formed lifelong friendships. When the dancers met up again in 1985, they discovered that they’d lost none of their moves — and their performances have been packing in crowds at concert halls in New York. The youngest is 84, the oldest is 95, and none is ready to give up dancing yet! In Been Rich All My Life, director Heather Lyn MacDonald creates a loving, stereotype-busting portrait of age-defying women who have never wavered in their love of dance or of each other.